Arthur George Poyser, labourer, tram conductor and ALP organiser, was born on 13 February 1915 at Ballarat, Victoria, the son of Arthur George Poyser, a carpenter, and his wife, Mary Jane, née Andrew. George, as he was known, grew up in a family that struggled to make ends meet. He attended Ashby State School in Geelong, going on to work in the textile industry. He enlisted in the AIF on 23 April 1940 and, on 25 May, before leaving for overseas service, married Dorothy Irene Grinter, a weaver, at St Paul’s Church of England in Whittington, Victoria. Poyser served with the 2/5th Australian Infantry Battalion in the Middle East during 1940 and 1941, until he received wounds to his right hand that necessitated the amputation of his third finger. He returned to Australia in March 1941, and was medically discharged on 8 June. He continued to work in the textile industry until he joined the tramways in Geelong as a conductor in 1945, where he remained until the service was discontinued in 1955. The nickname ‘Ting-a-Ling’ was a legacy of his work as a tram conductor. He then moved into a career in the labour movement. A member of the Miscellaneous Workers’ Union, he was secretary of the Geelong Trades Hall Council from 1955 to 1961, and assistant secretary and country organiser of the Victorian branch of the Australian Labor Party from 1961 to 1967. On 26 October 1966 Poyser was chosen by the Victorian Parliament to fill the casual vacancy caused by the death of Labor’s Senator C. W. Sandford. Poyser was sworn in the Senate on 27 October, but sat for two days only, as the Senate rose on October 29 for the November 1966 House of Representatives election, at which Poyser was obliged to contest the casual vacancy. Elected, he was sworn in a second time on 21 February 1967. Sandford’s term was due to end in 1968, so Poyser was required, under the old section 15 of the Constitution, to stand yet again at the next Senate election, which was held in November 1967. 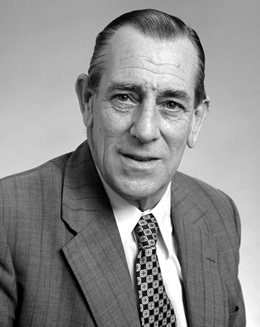 As he was successful, he remained in the Senate for the remainder of Sandford’s original term, before commencing his own six-year term on 1 July 1968. This was due to conclude on 30 June 1974, but was interrupted by the calling of a double dissolution by the Prime Minister, Gough Whitlam, on 11 April. It was expected that Poyser would head the Victorian Labor ticket for the Senate, but to avoid a ‘factional deadlock’ he volunteered to drop to the fourth position for the sake of party unity. At the election on 18 May he was elected in seventh place. During his years in the Senate Poyser’s principal concerns were social inequities, the Vietnam War and the racial policies of the South African Government. In his first speech in the Senate, he complained about the Government’s actions in increasing tariffs for migrant hostels. Immigration policy continued to be a focus: he challenged glaring injustices, such as the refusal by the Government to grant assisted passage to an English migrant because his wife was Indian. He raised many issues relating to inequalities in society—equal pay for equal work, repatriation pensions, free medical services for veterans of the Boer War and World War II, the impact of indirect taxes on ‘smaller people’, widows’ pensions, and the poor quality of mental health institutions in Victoria, which, he said, ‘distressed and absolutely horrified’ him. An active opponent of the Vietnam War and conscription, his signature, along with those of other federal Labor parliamentarians, including Dr Jim Cairns, Dr Moss Cass and Senator Albion Hendrickson and the Victorian MLA, David Bornstein, appeared on a public statement in the October 1970 issue of the Melbourne journal Resist, urging opposition to the National Service Act. In November 1974 Poyser joined a group of ministers and backbenchers who lobbied for the establishment of diplomatic relations with the communist provisional revolutionary government of South Vietnam. A humane man, though wily, Poyser supported the banning of sporting tours of Australia by South African teams as a protest against the official practice of racial segregation in South Africa known as apartheid. In June 1970 he raised the issue of what he described as South Africa’s ‘vicious’ racism, during the first reading of the Dried Fruits Export Charges Bill. He was challenged by Senator McManus on the basis that this bore no relevance to legislation on dried fruits, but McManus was quickly reminded by the deputy President, the Country Party’s Senator Bull, that, during the first reading of a non-amendable bill, a senator may raise any issue, relevant or not. He took a great interest in parliamentary processes, deploring the inadequate facilities provided for senators in the Old Parliament House, and the lack of research support provided for parliamentary committees. In April 1971 he warned that Government moves to allow simultaneous sittings of the Senate and of its estimates committees (an exercise that was not repeated) would set a ‘very dangerous’ precedent in ‘taking genuine business from this chamber’. He pointed out the difficulty in obtaining quorums for the committees, and was concerned that the committees met in rooms that were inaccessible to the public. Poyser was appointed deputy Government Whip in the Senate from 18 December 1972 and Government Whip on 10 June 1974. He was ideally suited to the role, in which he was regarded as ‘robust’ and ‘efficient’, ‘cheerful’ and ‘sometimes scathing’, one who gave ‘stern lectures’, not only to recalcitrant government senators but also to the Opposition Whip. On 11 November 1971, along with Senators Keeffe and McLaren, Poyser entered the Senate chamber, wearing not the traditional suit and tie, but shorts and long socks. The President of the Senate, Magnus Cormack, ponderously referred the matter to the Senate House Committee. The committee determined ‘that the wearing of shorts … does not accord with the dignity of the Chamber’. The issue surfaced again on 19 November 1974, when Senator McLaren spoke to the adjournment on the standard of dress in the Senate. He referred to comments made, a few days previously, by the Country Party’s Senator Webster, in his role as Chairman of Committees, that the dress of one of the Labor Government’s ministerial advisers, in wearing a roll-neck shirt and jeans in the chamber, was inappropriate. Provoked by Webster, Poyser went on the attack. He had not, he said, worn shorts in the chamber since the earlier occasion in 1971, ‘because of the ultra-conservatism of people like Senator Webster’, who, he declared, ‘would like to see all of us come into this place dressed in a way which he believes is dignified—morning suits with striped pants, block hat, and black shoes’. The Senate, Poyser concluded, was the people’s house and if people could not enter the Senate ‘dressed in a reasonable manner’, the day would come when they would not be able to enter it at all. When a second double dissolution occurred on 11 November 1975, Poyser wrote to the secretary of the Treasury requesting that his pension commence immediately, as he would not be nominating for re-election. In his retirement, Poyser pursued his keen interest in fishing, and, during visits to Canberra, he regaled former Senate colleagues with stories of his successes. He died on 5 August 1986 at his home in Geelong, and was cremated at Ballarat. Dorothy survived him, as did their four children. In the Senate, he was remembered as an ‘active and compassionate community worker’, ‘a very colourful and very lively character’ who ‘called a spade a spade’, ‘a great raconteur and a close, dependable and loyal friend’. He had belonged to a group of Labor politicians whose characters and abilities were forged in hardship, and who were fast becoming a dying race. CPD, 19 Aug. 1986, p. 27; Poyser, Arthur George—Defence Service Record, B883, VX11976, NAA; John Button, As it Happened, Text Publishing, Melbourne, 1998, p. 154; Age (Melb. ), 27 Oct. 1966, p. 3. VPD, 26 Oct. 1966, pp. 1330–4; VLA, V&P, 26 Oct. 1966, pp. 169, 171–2; CPD, 19 Aug. 1986, p. 28; Fact (Melb. ), 2 Nov. 1966, p. 1; Age (Melb. ), 27 Oct. 1966, p. 3, 17 Apr. 1974, p. 1. CPD, 1 Mar. 1967, pp. 191–6; Age (Melb. ), 25 Jan. 1967, p. 3; CPD, 2 Nov. 1970, p. 1843; Age (Melb. ), 3 Nov. 1970, p. 3; CPD, 18 Oct. 1967, pp. 1368–9, 18 Sept. 1968, pp. 768–9, 12 Sept. 1968, p. 611, 30 Aug. 1967, pp. 382–6, 28 Aug. 1969, p. 505. Resist (Melb. ), Oct. 1970, p. 1; Irene Dowsing, Jim Cairns M.H.R., Acacia Press, Blackburn, Vic., 1971, pp. 112–13; Australian (Syd. ), 12 Dec. 1970, p. 3; Courier-Mail (Brisb. ), 14 Nov. 1974, p. 8; Age (Melb. ), 11 June 1970, p. 19; CPD, 10 June 1970, pp. 2230–2. CPD, 25 Oct. 1972, p. 1918, 28 Apr. 1971, pp. 1057–8, 1 Dec. 1971, pp. 2263–4; ALP, Federal Parliamentary Labor Party minutes, 10 June 1974, MS 6852, box 15, book 3, NLA; CPD, 19 Aug. 1986, pp. 26–7, 29; CPD, 11 Nov. 1971, p. 1867; CPP, 235/1971; CPD, 19 Nov. 1974, pp. 2541–5. Senate Registry File, A8161, S221, NAA; CPD, 19 Aug. 1986, pp. 26–31. This biography was first published in The Biographical Dictionary of the Australian Senate, vol. 3, 1962-1983, University of New South Wales Press Ltd, Sydney, 2010, pp. 74-76.